Have you ever dreamt of a keyboard that can do it all? We have built it for you. Our smart keyboard is obviously a USB keyboard/touchpad (Windows, Linux, Mac OS compatible). But it also offers Bluetooth connectivity. No need of all those cables on your desk! But there's more. We have carved out some space below the keyboard to insert what you need all the time. First, there is a USB keychain. No need to look for this dongle: it's here, just accessible in your keyboard. We have also added a USB-to-HDMI Dual Screen Adapter. With this tiny adapter, you can add a second monitor to your computer by simply using a USB port. USB ready: plug a USB cable and it just works. With the Bluetooth connection, take control at distance of a Windows PC, Mac, or Linux box. Enjoy your HDMI screen from any computer. 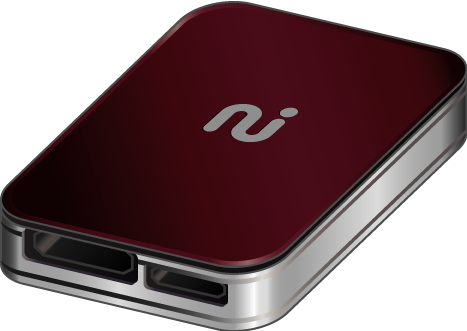 Get the tools to transform any USB port into an HDMI video output, anywhere. A stored-in 2GB keychain, always here. No more need to borrow one from friends when you forgot yours! The Always Innovating Dual Screen adapter is based on the breaking-through Display Link technology. 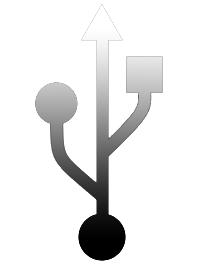 DisplayLink USB graphics allows you to connect almost any kind of HDMI display - including your TV - via a standard USB 2.0 cable. The technology is designed primarily to be simple and easy to use: just install the DisplayLink software, plug in your Always Innovating Dual Screen Adatper, and within a few seconds you've got a new monitor, docking station, or projector connected to your computer. There's simply no easier way to add a display to your PC or Mac. instead of the average other devices on the market. free of any additional charge!